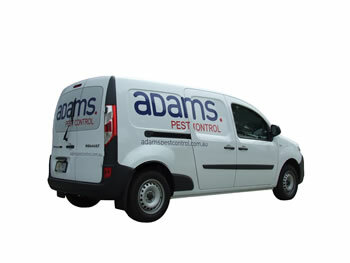 Adams Pest Control has provided professional pest control services for more than 70-years to residents and businesses in and around Melbourne and Adelaide. And now with a dedicated office in Hamlyn Heights, Geelong, it is even easier for you to drop by and speak with one of our highly qualified pest controllers about your pest concerns and pest control requirements. Their in-depth knowledge of pest control is fully supported by regular training that ensures they are always up-to-date with local regulations, and the latest methods and trends within the pest control industry. Keeping your workspace clear of pests is important not only for ensuring the wellbeing of your employees and your customers, but also from a general health and safety perspective. Our commercial pest control services are available to all industries, including shopping centres, supermarkets, office blocks, factories, schools, hotels, guest houses, hospitals, aged-care facilities, cafes, and restaurants. Our approach to commercial pest control involves an assessment to determine any current pest problems, and to identify any other pests your business could be vulnerable to. We then set about creating a process and schedule to eradicate any pests, and to limit or eliminate future pest problems. Pests such as rats, mice, and cockroaches are drawn not only to spaces that offer them easy access to food sources, but also those that make nesting easy, so our pest control experts look for ideal points-of-entry and nesting spaces, and where possible, seal these off. They will also discuss methods for food preparation, storage, and handling of food waste that will make your workplace less prone to pest infestations. Bees, wasps, spiders, and ants also have the potential to make any business less appealing and unsafe for customers and staff, and need to also be addressed before the problem becomes worse. We use industry standard baits and insecticides to eradicate and control most pests, but with a clear understanding of the important role bees play in our ecosystem, bee colonies and swarms are never harmed; instead they are safely relocated by our highly skilled staff. Keeping your home free of pests is every bit as important as keeping a workplace pest free, and while your home will be just as appealing as a business for some pests, it is also more likely to have problems with possums, fleas, ants, termites, and even bed bugs. Our approach involves working with you to eliminate any current infestations, and implementing measures to limit a recurrence, while ensuring the health and safety of you, your family, and any pets you have is not compromised. A particularly bothersome pest for residential clients, and one capable of inflicting considerably damage to properties, is the termite. The most effective response to termites is early detection and control, with regularly scheduled termite inspections recommended for all south Australia residents and business owners. Mud tubes, and hollow sounding or crumbling wood are very good indicators of a termite infestation, but by the time you notice these, significant property damage would have already been inflicted. The cost of a termite inspection is minimal in comparison to the cost of repairs for damage caused by termites, and it can be carried out on older properties along with newly built properties prior to occupation. We are experts in pest control, covering the Greater Geelong Area. Each Adams pest controller is highly qualified and equipped with extensive knowledge of pest control, providing local businesses with professional services since 1944. Our Geelong location is found at 3 Glenfine Avenue in the western suburb of Hamlyn Heights, overlooking Corio Bay, just off Church Street. Hamlyn Heights is roughly a 10 minute drive from the heart of Geelong. The most convenient route is via Ryrie Street. Cross over towards Aberdeen Street and continue along, eventually turning right as you reach Minerva Road. Turn left at Church Street and Glenfine Avenue will be close-by on the right hand side. If you’re travelling by public transport, the journey from Geelong Town Centre is roughly 20 minutes. Head to Moorabool Street interchange and hop on the 25 Bell Post Hill bus, exiting at Church Street. Adam’s Pest Control Geelong is just a short distance from here. If you’ve got some spare time before or after your visit to Adams Pest Control Geelong, we recommend the famous Eastern Beach Reserve or Tulip Bar and Restaurant. Both are within 5-minutes of Adams Pest Control Geelong.